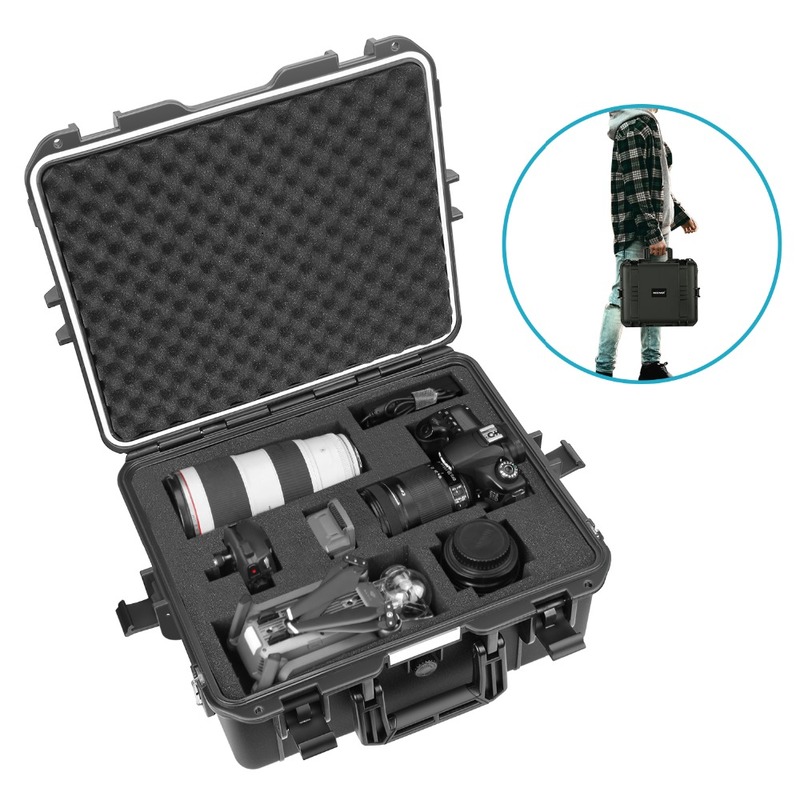 NOTE: Shoulder Strap, Camera, GoPro , DJI QuadCopter, Lens, Flash, Other Accessories are NOT included. 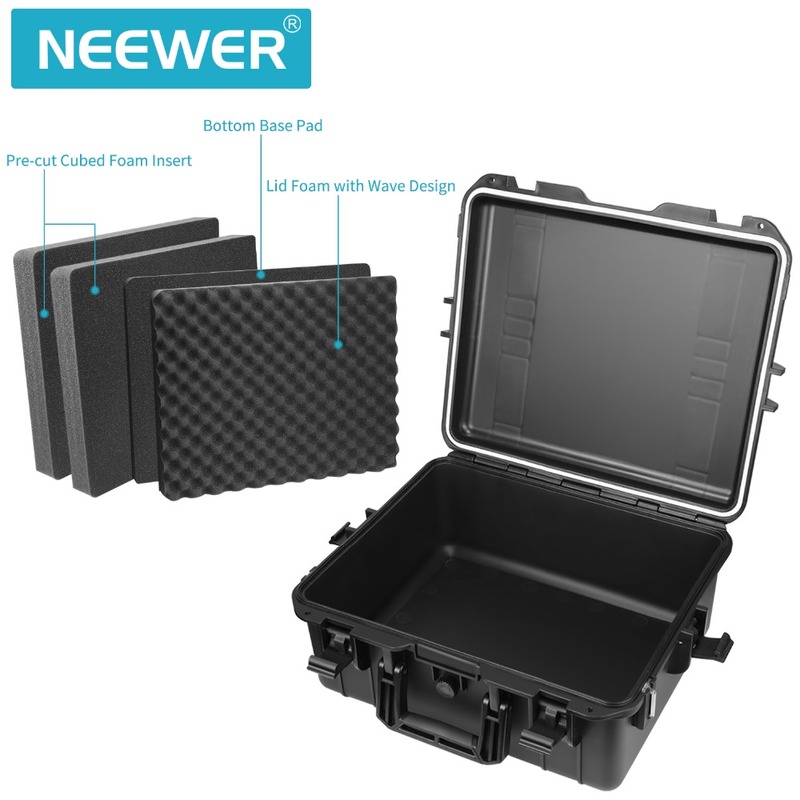 Neewer NW-200 waterproof hard case is designed to protect the most sensitive equipment under different environments. It offers the utmost in protection and performance under heat or coldness. 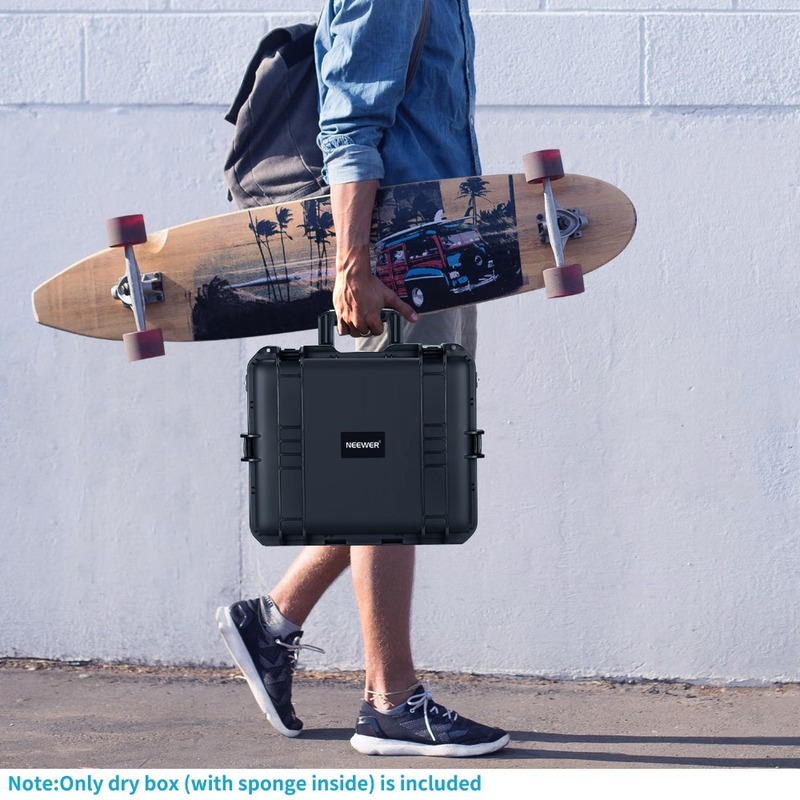 Waterproof, dustproof, shockproof, Perfect for you to store your equiment when travelling. 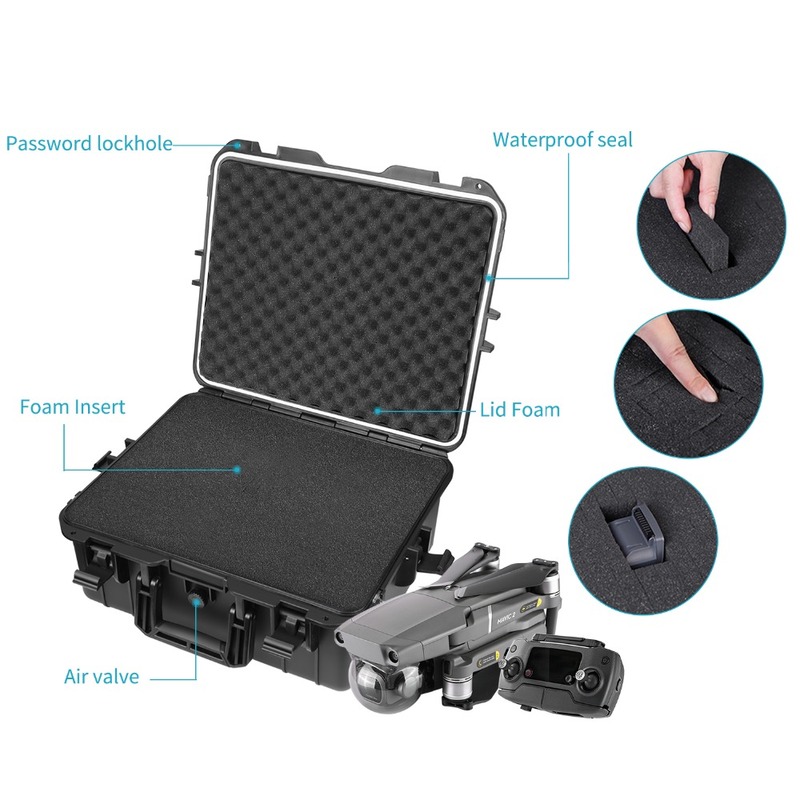 With 4 pieces of foam (Bottom Base Pad, 2 layer Pre-cut Cubed Foam Insert, Lid Foam with Wave Design), you can store your camera, GoPro , DJI QuadCopter, lens, flash, other accessories, and even medical equipment. 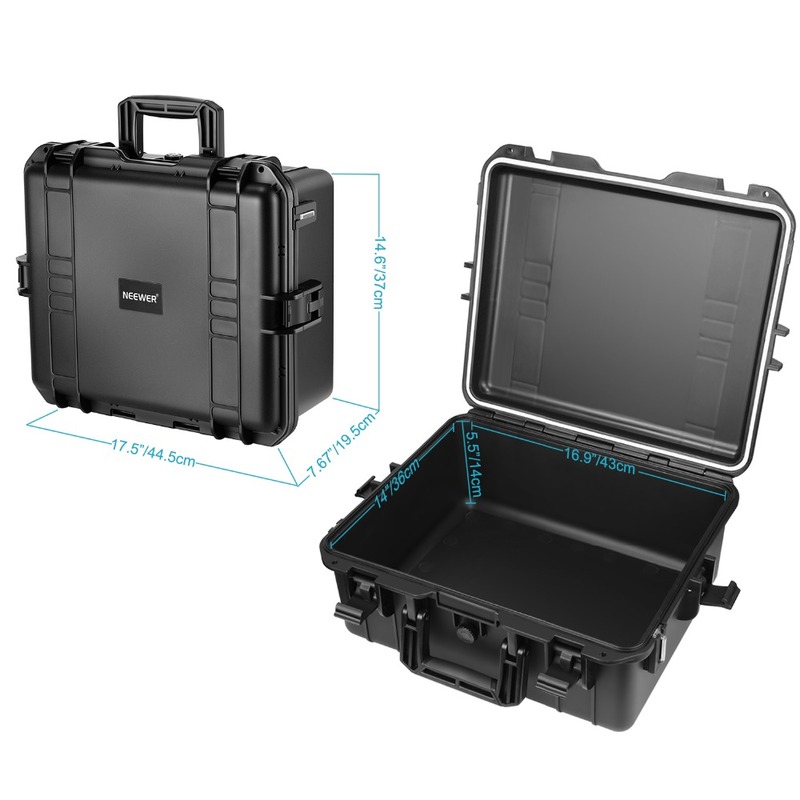 Designed with 2 layer customizable removable inserts that each layer consists of pre-cut foam squares that can be removed in various configurations according to the item you want to put into. 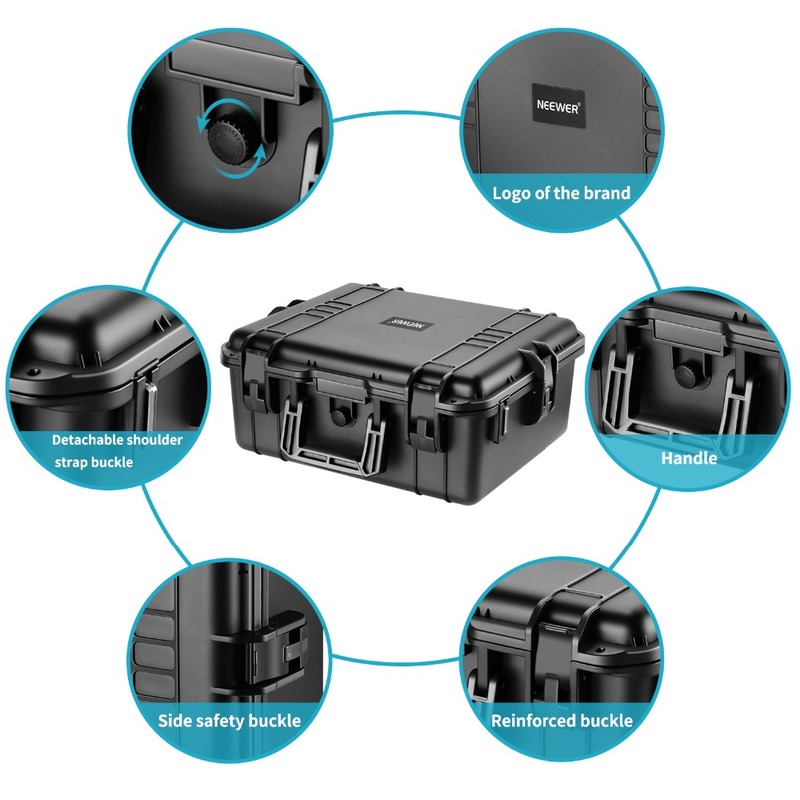 The lid foam is designed with wave shape so that it can fit the shape of stored items. 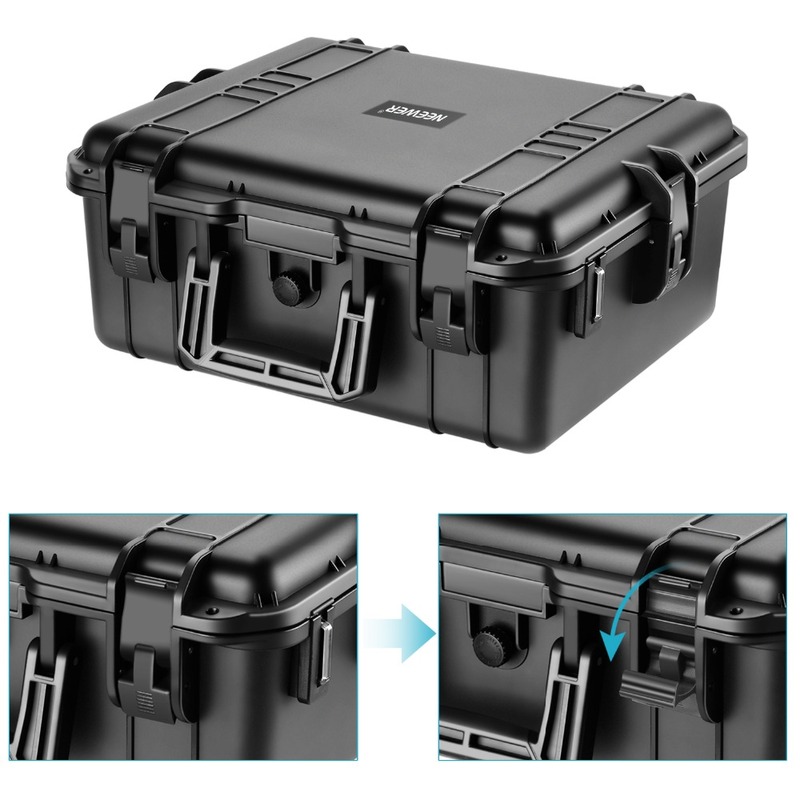 Strong but light-weight design with a plastic grip handle allows for comfortable and portable carrying. Automatic purge valve equalizes pressure on the the case to protect your equiment. 4 reinforced buckles in the opening side, left and right side add the safety.